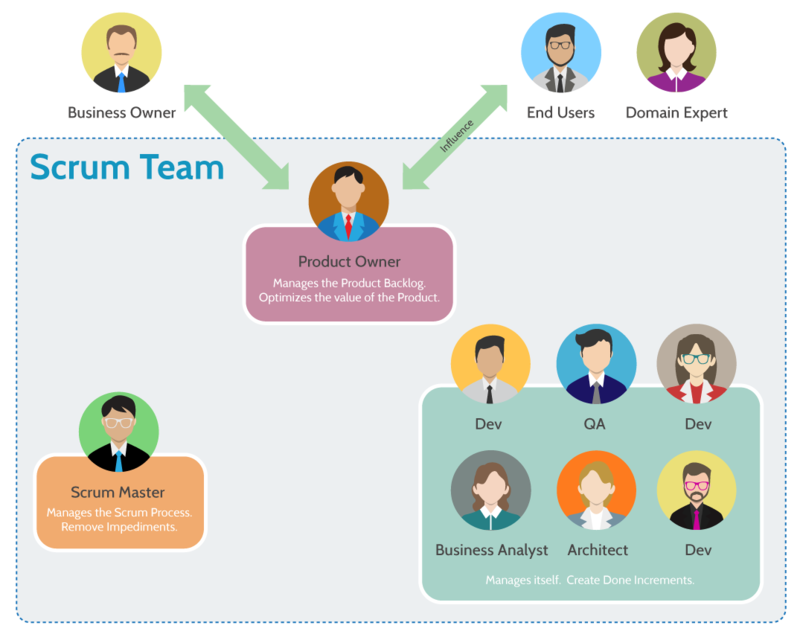 The Scrum Team share different tasks and responsibilities related to the delivery of the product. Each role are closely inter-related. It is recommended for Scrum team members work together in the same location whenever possible. Let’s take a look at each of these roles in terms of their responsibilities, authority, and characteristics.